Sears filed for Chapter 11 bankruptcy protection Monday, Oct. 15, 2018. Sears Holdings, which operates both Sears and Kmart stores, will close 142 unprofitable stores near the end of the year in addition to another 46 stores that were previously announced. The Hamilton Place mall location is on that list. This story was updated Oct. 15, 2018, at 10:12 p.m. with more information. Martha Rodgers says she has shopped at Sears for 50 years and was sorry to hear Monday that the retailer had filed for bankruptcy with plans to shut its Hamilton Place store and many others. 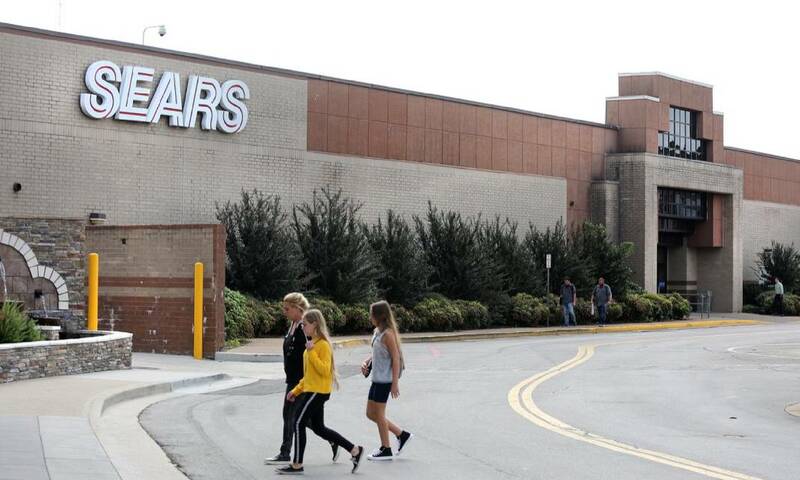 "They always stand behind their stuff," she said, adding she'll travel from her East Brainerd home to the Sears at Northgate Mall in Hixson, which will remain open. After years of losses, the once-dominant retailer opted to seek Chapter 11 bankruptcy protection and try to reorganize its business, though as a smaller company. It announced plans to close 142 of its 700-plus remaining stores, many likely before the end of the year. POLL: Have you ever shopped at Sears? Sears' Hamilton Place store is one of the mall's original anchors and helped propel the center as the region's top shopping destination since it opened 31 years ago. 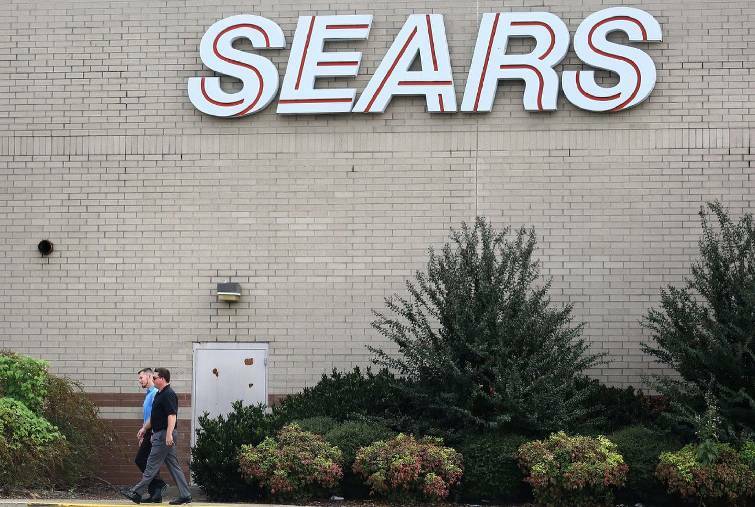 Mall owner CBL Properties, which bought the Sears store in early 2017, plans to quicken the pace of announcements related to its redevelopment, officials said. Stephen Lebovitz, chief executive of the Chattanooga-based shopping center company, said the Sears' footprint is more valuable to CBL without the retailer. He expects that when a Cheesecake Factory opens in December in the Sears parking lot, which is CBL's first redevelopment move, the popular restaurant will garner almost as much in sales by itself as the store. The Sears store and its parking lots also could hold medical offices, a hotel and more eateries, according to CBL. Officials have talked with the Dave & Buster's restaurant chain. Lebovitz said there's a place for Sears in a lot of markets, and the direction the company is taking the chain is its "best shot" at surviving in the future. "They've been an iconic retail name for over 100 years," he said. Two people walk past the Sears sign to the entrance of Hamilton Place mall Monday, Oct. 15, 2018 in Chattanooga Tennessee. Sears filed for Chapter 11 bankruptcy protection Monday, and the Sears store at Hamilton Place is on a list of closings. Matt Chatfield of Chattanooga said Monday he liked shopping at Sears because the store is "a one-stop shop." "They have everything," he said, adding that it's usually affordable. Gil Wideman of Ringgold, Ga., said he especially appreciated Sears' appliances, and he bought his work clothes, among other items, from the retailer. But, he said, since he lives in Georgia, it might be inconvenient to travel to Northgate Mall to shop at its Sears. With the bankruptcy filing, Sears said it will continue to open its stores and operate online. Its loyalty programs, warranties, protection agreements, and the Sears and private label credit card rewards programs continue as normal, according to the company. Merchandise pricing will not be affected, gift cards can continue to be redeemed, and it will operate layaway as usual, the company said. Also, its appliances will be serviced by Sears Homes Service technicians, and its auto center will remain open, the retailer said. The company has received commitments for $300 million in senior priming debtor-in-possession financing and is negotiating a $300 million subordinated debtor-in-possession financing agreement. Edward S. Lampert, who heads the company's largest shareholder, stepped down as Sears CEO but will remain as chairman. Lebovitz said the bankruptcy wasn't a surprise. "We started preparing for their bankruptcy in 2013 when we purchased the first two Sears for redevelopment," he said. CBL has 28 Sears locations in its portfolio, though he termed CBL's exposure from an income standpoint "pretty insignificant." He said 11 of the stores are leased, while 17 are owned by Sears and others. Of the 11, four involve a sale-lease back deal such as what CBL did at the Hamilton Place Sears, Lebovitz said. Lebovitz said there's often more value to CBL in redeveloping the Sears stores, as it's doing at Hamilton Place. Also, CBL is remaking the Northgate Mall Sears auto center site, which it purchased in 2017, to hold two new restaurants. Lebovitz said that redevelopment concept proved true when it reworked the former Sears at Cool Springs Mall in Nashville. Sales at the mall went up 18 percent and there was more income generated from the Sears building, he said. "I'm not saying it will happen everywhere," the CEO added.